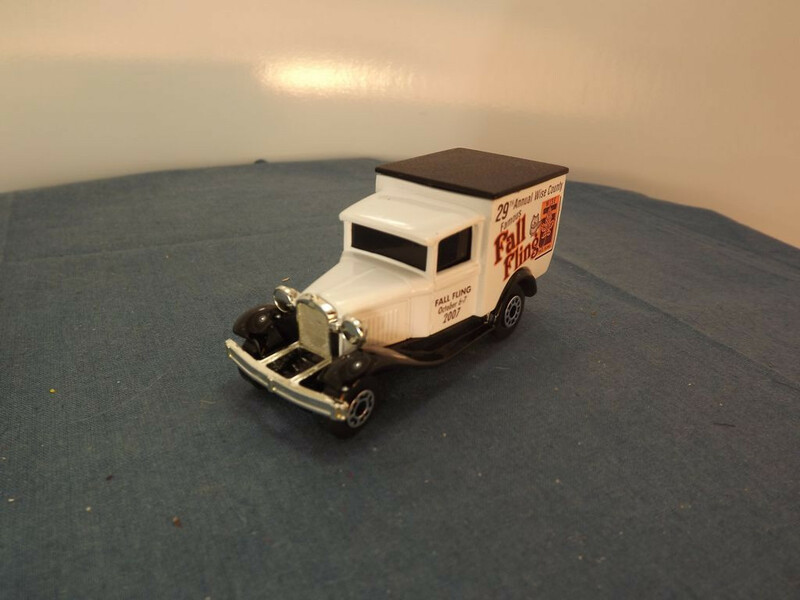 This model is the Matchbox MB38 Ford Model A Van in White. It was released as a special Limited Edition promotional item by Ad-Ventures Inc. for the 29th Annual Wise County Famous Fall Fling 2007. Most detail is cast into the body. Detail includes the front engine louvres, the front doors, door handles and door hinges, the rear doors, handles and rear numberplate [KG6567]. The front and rear wheel arches and running boards are cast as a separate metal component and painted gloss black. The front bumper, front lights, and grille are also cast separately in plastic and chrome plated. 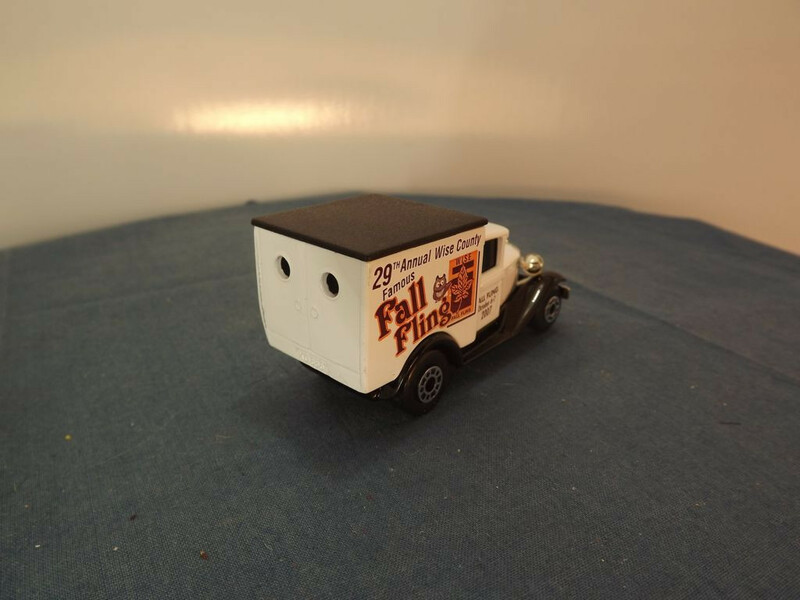 The van sides are adorned with tampo printed advertising reading "29th Annual Wise County, Famous Fall Fling" on several lines with logo. The front doors carry "Fall Fling, October 6-7, 2007" on three lines. 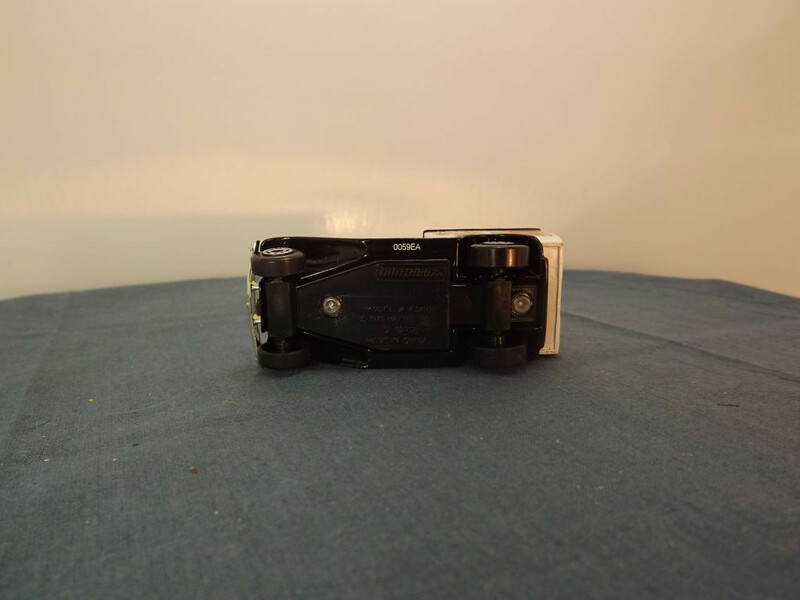 This model was issued in 2007 as a limited edition. 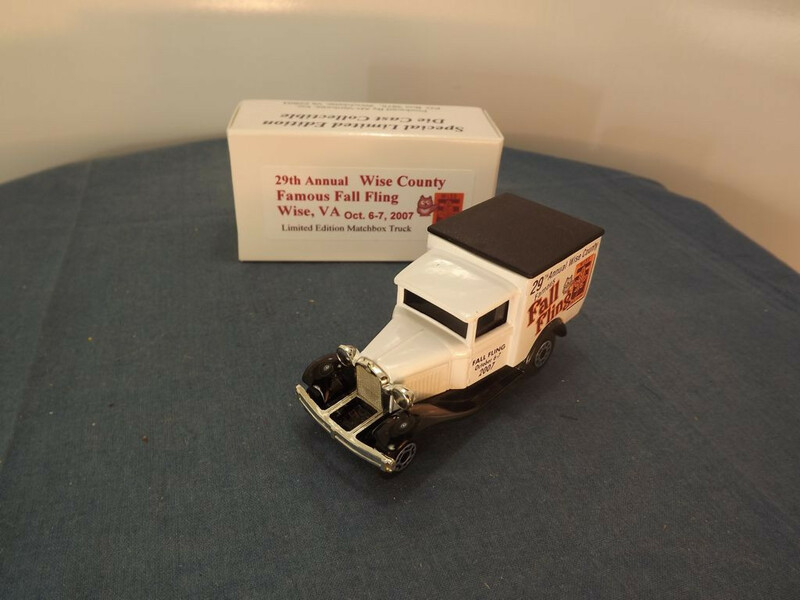 It comes in a plain white box, printed on 3 sides and the end flaps with "Special Limited Edition Die Cast Collectible" and Ad-Ventures data and carrying a white paper label on the 4th side identifying the model as a "Limited Edition Matchbox Truck" produced for the 29th Annual Wise County, Famous Fall Fling, Wise VA, Oct 6-7, 2007.